This work is the history of the enslavement of African Americans in North America stretches from the beginning of European colonization to the end of the Civil War. 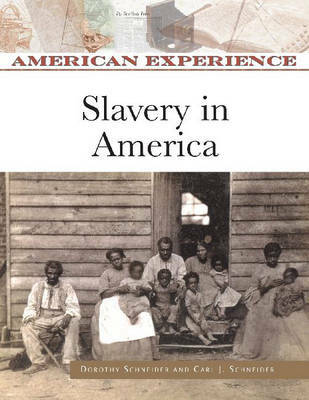 ""Slavery in America"" recounts this history, as well as the Reconstruction period that followed, by examining, chapter by chapter, many of its aspects: the slave catchers and their coffles in Africa, the crowded slave ships, slave auctions, life and labor on plantations, escape attempts and insurrections, and the Civil War and eventual emancipation. This edition also features a new chapter that extends coverage through Reconstruction to 1877 when the last Union troops withdrew from the South, addressing topics such as the Thirteenth, Fourteenth, and Fifteenth Amendments; the struggle between President Andrew Johnson and the Radical Republicans over the terms of the readmission of the seceding states to the Union and the protection of the freedpeople; the passage of the Civil Rights Act of 1875; and the ensuing disappointment in the hopes of the freedpeople. New photographs and maps also enhance this new edition. Hundreds of firsthand accounts - from diary entries, letters, speeches, and newspaper accounts - illustrate how historical events appeared to those who lived through them. New eyewitness testimonies include John Brown and Frederick Douglass. In addition, each chapter provides an introductory essay and a chronology of events. The book also includes such critical documents as President Lincoln's Proclamation of Amnesty and Reconstruction, the American Freedmen's Inquiry Commission Final Report, the Ku Klux Klan Organization and Principles, and the Civil Rights Act of March 1, 1875, as well as 97 black-and-white photographs; capsule biographies of more than 100 key figures; 16 maps, graphs, and tables; notes; an updated bibliography; a new appendix of charts and tables; a glossary; and an index.